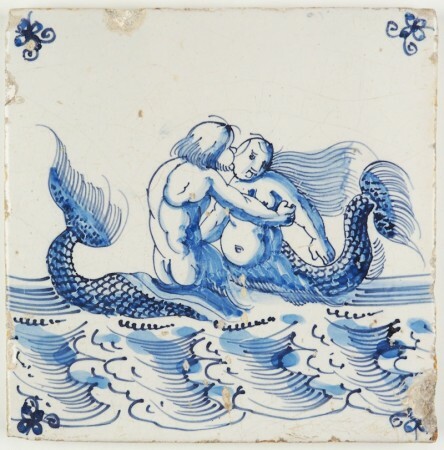 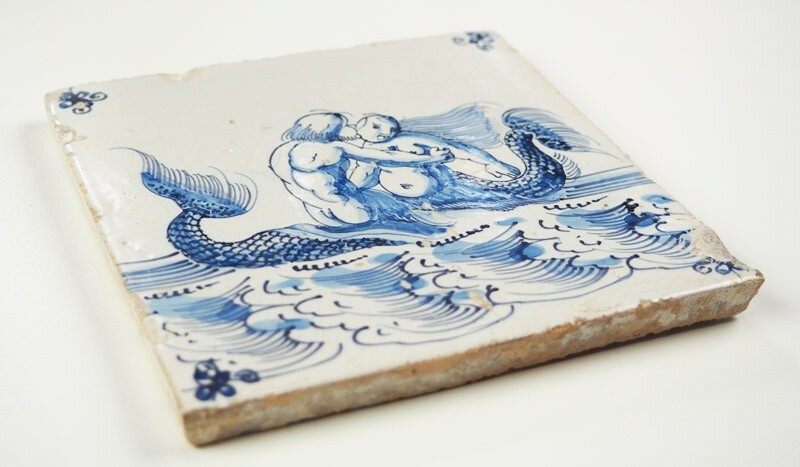 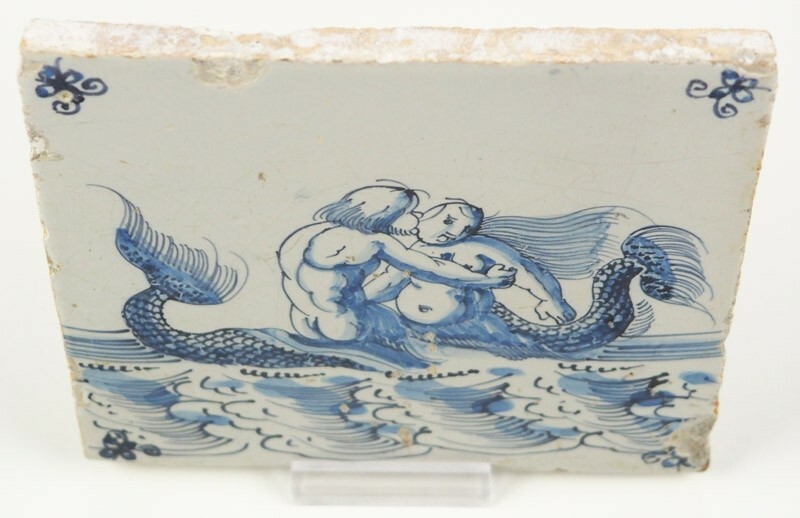 This is a wonderful and rare 17th century (c. 1650) Delft tile depicting a merman and mermaid in a romantic scene. The tile was fabricated in the Dutch city of Harlingen, which is known for producing very well painted tiles in a beautiful shade of (deep) blue. 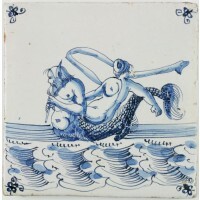 The tile is decorated with 'spider' corner motifs and is in a good and solid condition. 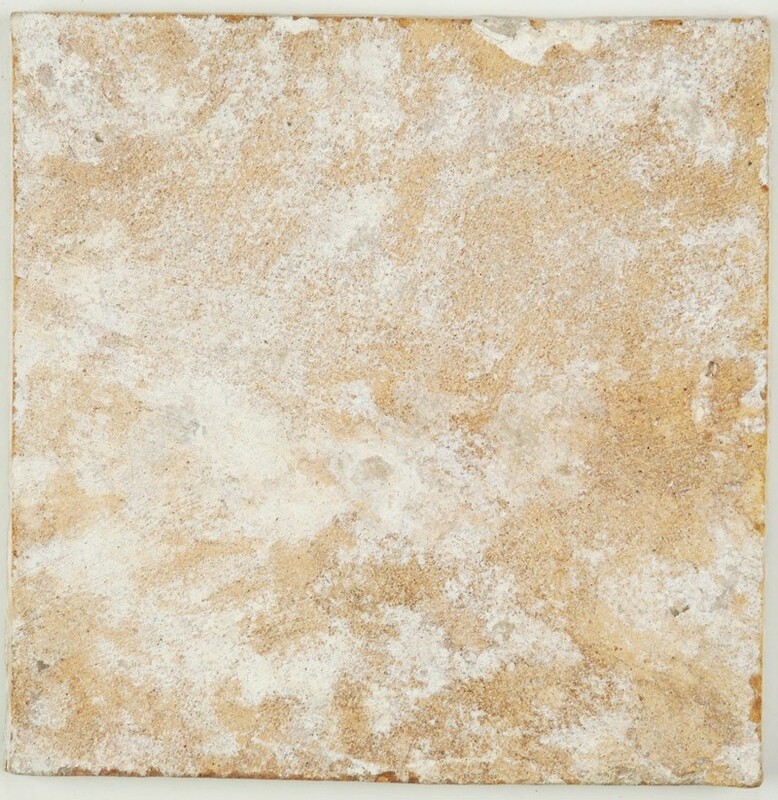 Do note the chips on the top side and lower right corner, as well as the dents across the glaze of the tile.